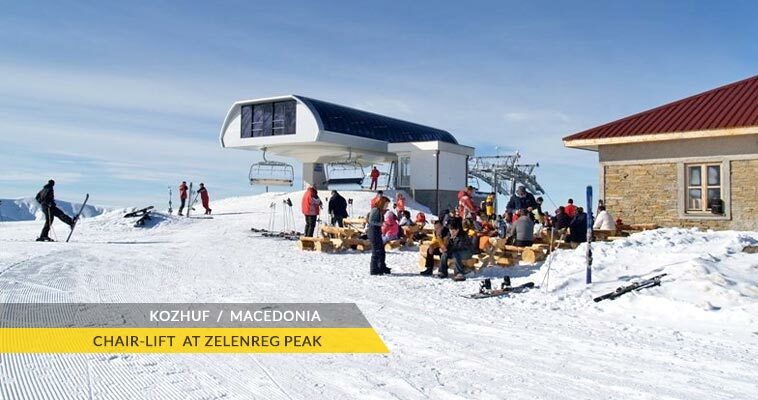 Kozuf ski resort is situated deep in the Kozuf mountain in the southern part of the Republic of Macedonia. Kozuf is slowly becoming the most visited attraction in the Gevgelija region. Kozuf's most western parts reach the river Blashnica, and the north-western side stretches in a line, from the Mrezhichko village via the village Konopishte (Kavadarci area), through the course of Boshava riverto the town of Demir Kapija. Kozuf is aspecific mountain because it is the first natural barrier in the Republic of Macedonia that is directly exposed to the influences of the Mediterranean and the Aegean Sea. Kozuf's highest peak is Zelenbeg, at 2171 meters above the sea level. The Kozuf ski resort can be accessed only using the road from Gevgelija via Smrdliva Voda settlement which is 36 km, while from Skopje is 198 km. Due to various problems in connection from Smrdliva Voda, a new 13,5 km road was constructed from Smrdliva Voda to Kozuf in the winter 2010. 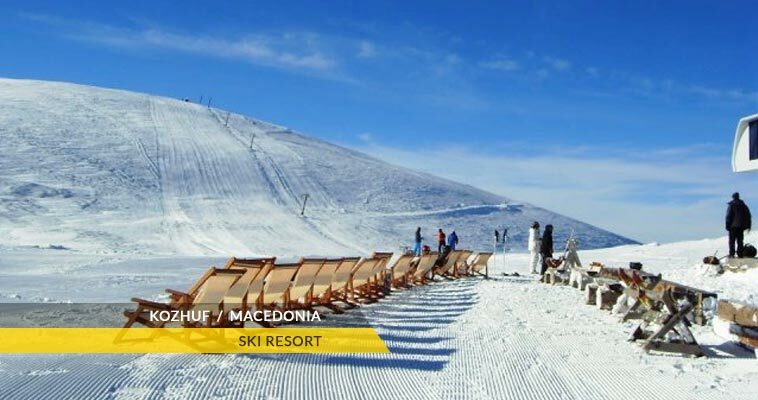 The newest ski resort in Macedonia was recently built in 2008. A ski jumping hill is going to be build in 2009 and its planned to be completed already in the spring 2010. At the moment it is a very small ski resort with just three ski lifts but it does have a vertical descent of 573 metres and covers a large area with 12 pistes. The Kozuf resort settlement is located on an altitude begging at 1,550 to 1,700 meters altitudes above sea level and the ski area starting from 1,610 meters to 2,200 meters altitude (Markovo Bachilo). The Kozuf settlement is first approaching point on the local road.